KFC is one of our few favorite fast food joints. Many times we have visited KFC to savor the taste of crispy & crunchy fried chicken. But you cannot indulge in such food on regular basis. So Sunday being a family day, we decided to cook crispy fried chicken at home. Just the KFC Way! It came out crisp, delicious and fabulous! 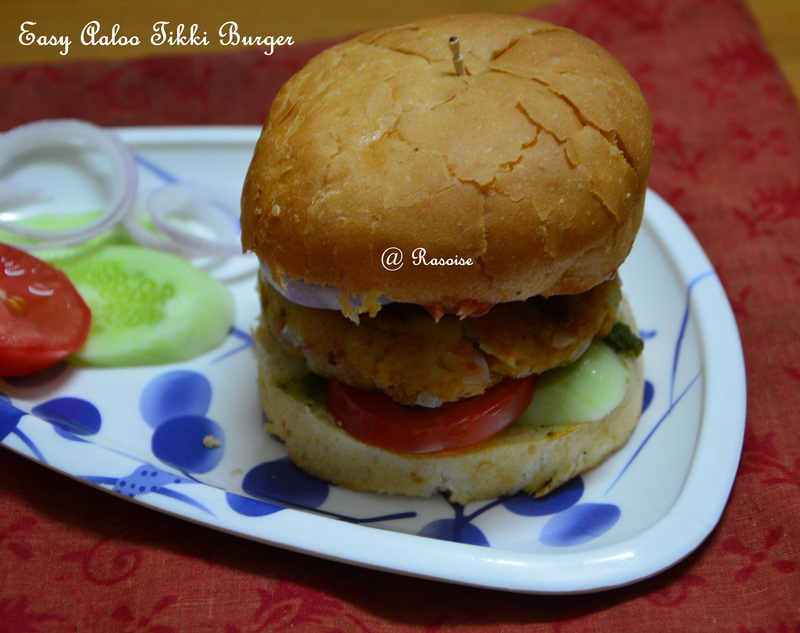 It is an easy recipe which has the potential to become your kids favorite recipe. In a large glass dish or bowl, combine the water, salt, red chili and garam masala and mix together. Add chicken and mix them well. Cover and refrigerate to marinate for at least 5-6 hours. In a shallow dish or bowl, mix together garlic, egg and buttermilk. Stir to form a fine paste. In another shallow dish or bowl, mix together the flour, cornflakes, salt, red chili, oregano, basil and black pepper. Remove chicken from the marinade, discarding remaining water. Preheat oil in a deep wok. One at a time, dip chicken first into the egg mixture. Then roll chicken into the flour mixture. Then again into the egg mixture and again into the flour mixture. Now leave the chicken in oil to fry. 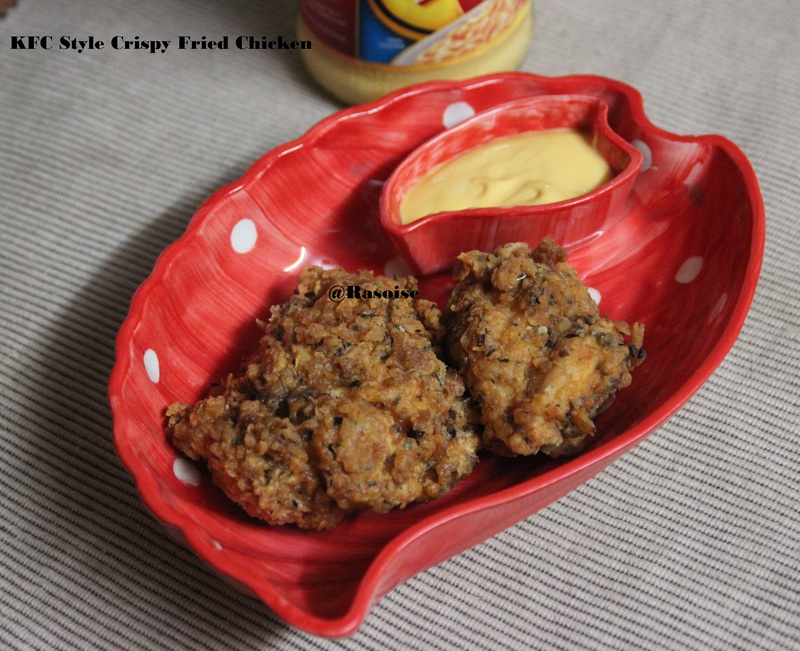 Deep fry the chicken and remove. Remove excess oil using a tissue paper. Repeat the process for remaining chicken. 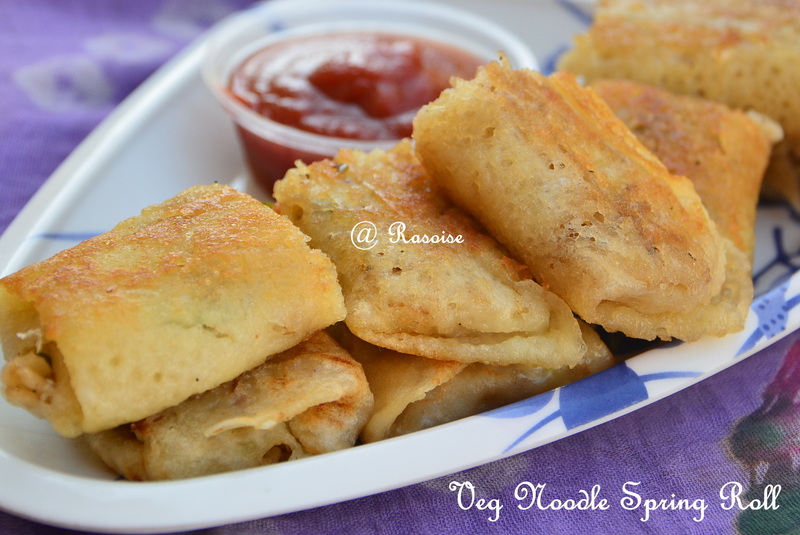 Serve them hot with cheese sauce and ketchup. If you like the recipe, please leave a comment below. I would really love to know how it turned out for you guys! 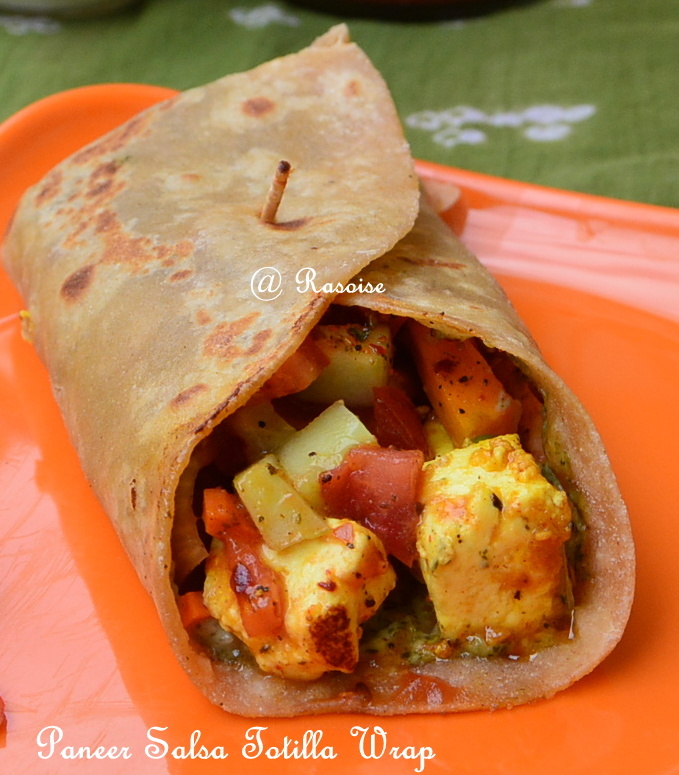 Paneer as we all know is good for health, however, every time same type of recipe for paneer….hhmm…boring. 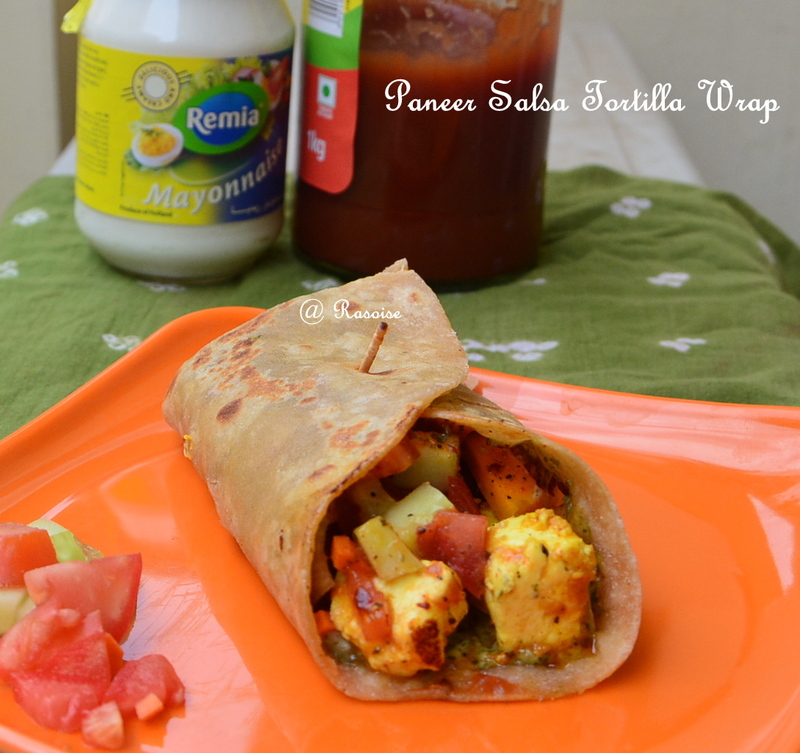 So, I realized some change is needed and then I remember the Mc Paneer Salsa Wrap. It was not possible for me to make the same wrap, but yes I tried making the best of the available ingredients in my kitchen. Since it’s a Mexican recipe, I have made few modifications in spices to give it little Indian taste. 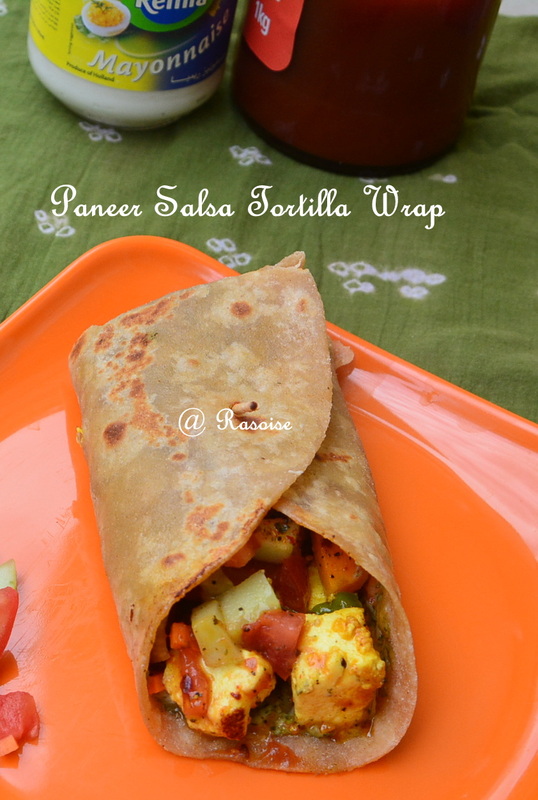 Marinated paneer pieces along with salsa and cheese make this wrap a real yum!!!!! And yes at the same time healthy. Tortilla is generally made of all purpose flour; I have made wheat flour tortillas. 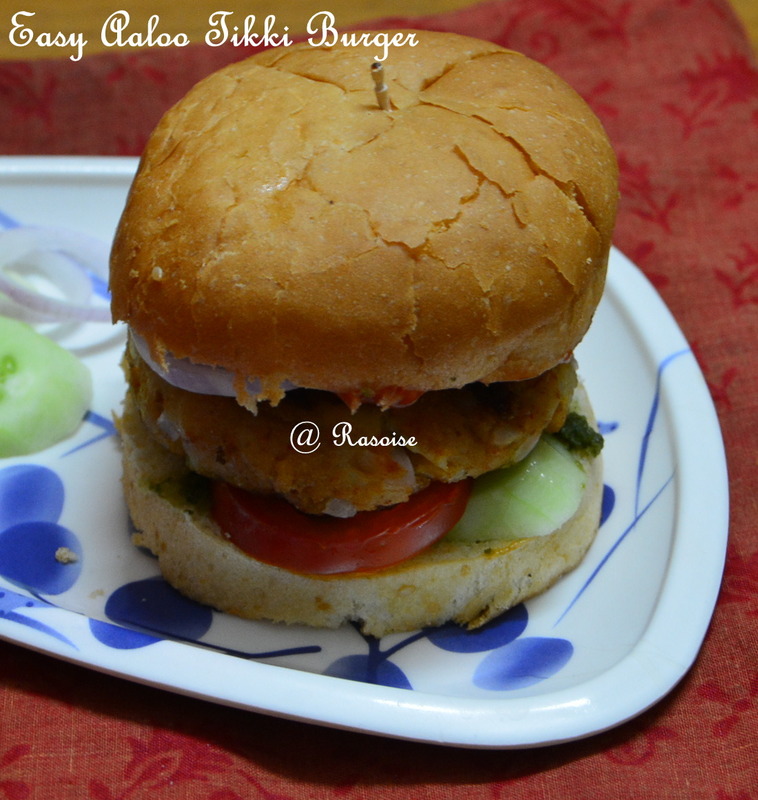 Some veggies are also added to make it healthier. This recipe serves two – three tortilla wraps. Take a bowl. Add all the above ingredients accept Paneer. Mix all together and then add paneer. 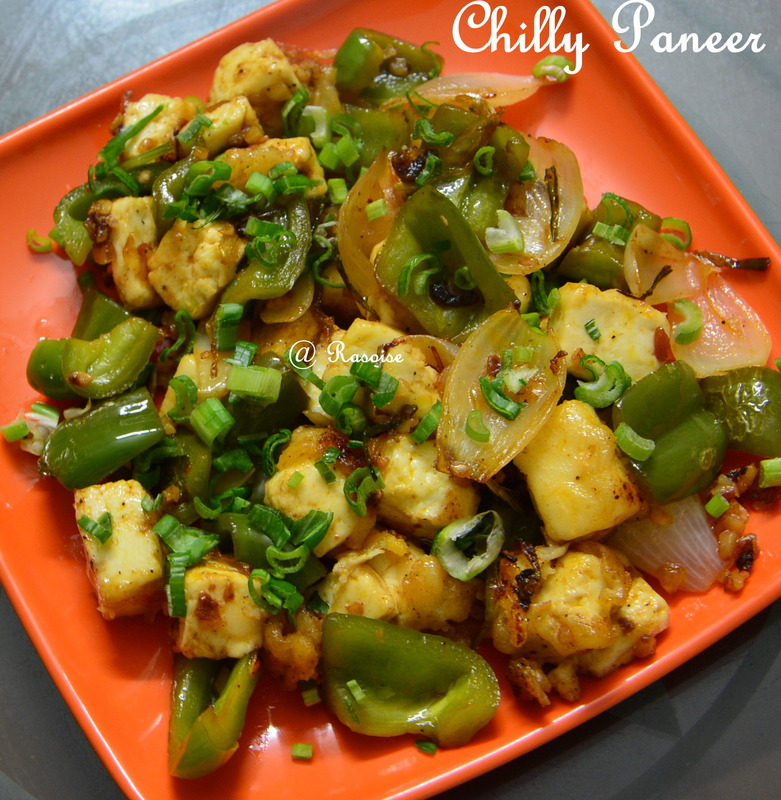 Mix gently, paneer pieces should not break. Add a tablespoon of Olive oil (Optional). Allow it to rest in the freezer for an hour. 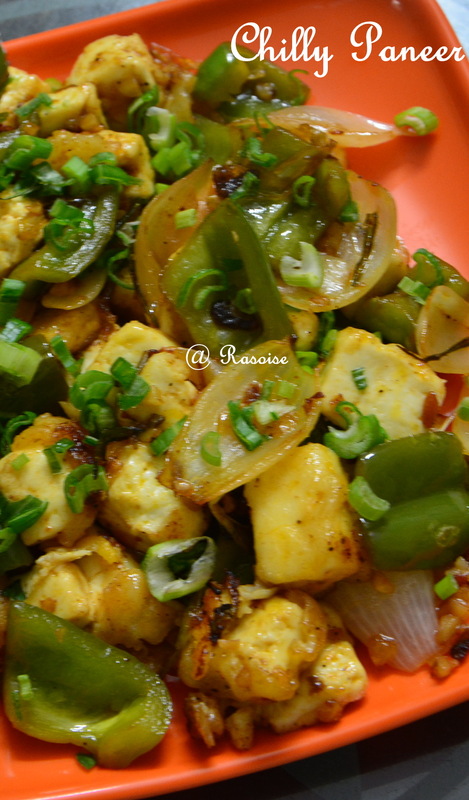 Take a wok, heat oil and shallow fry the marinated paneer. Keep it aside. Mix all the ingredients and knead soft dough. Keep it aside for half hour. Make three balls of equal size. Roll out each ball into a thin, big, circular roti. Heat a griddle (preferably non stick) and lightly roast the tortilla on both sides for about a minute. The tortillas should not become brown, just roast for a few seconds. Repeat with all the tortillas and keep it aside. Take a tortilla. Spread some green chutney. Spread some mayonnaise. Then put some paneer pieces. Top it with Salsa. If using, grated some cheese. Wrap it and support it with a toothpick. Heat the griddle and cook the tortilla wrap for few seconds. If you liked this post, consider linking to it or sharing it with others or like us on Facebook. Do not forget to leave a comment !!!! 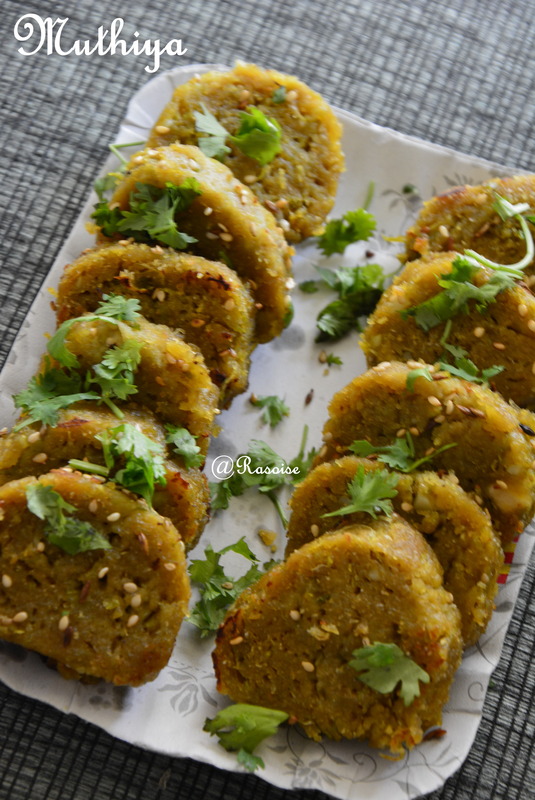 Muthiya is a famous snack which comes from Gujarathi cuisine. 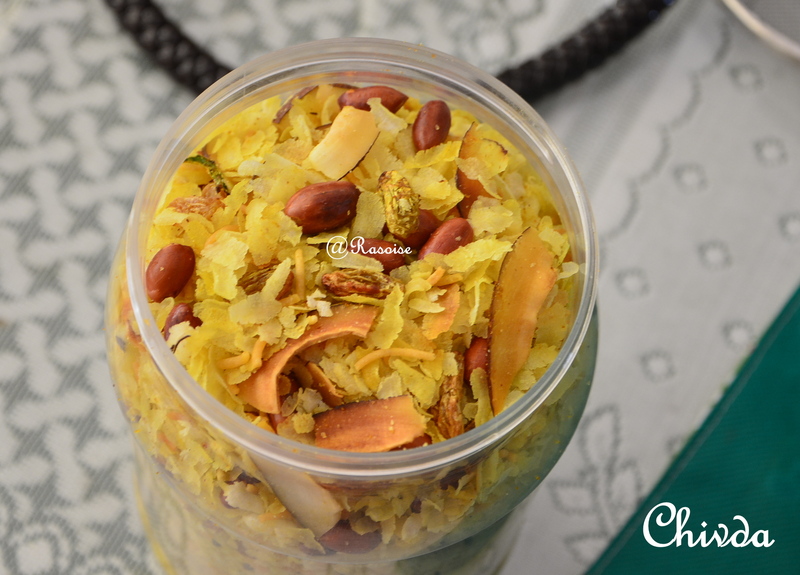 Few years back, before my marriage, my dad was posted in Baroda, Gujarat where my mom learnt this recipe. 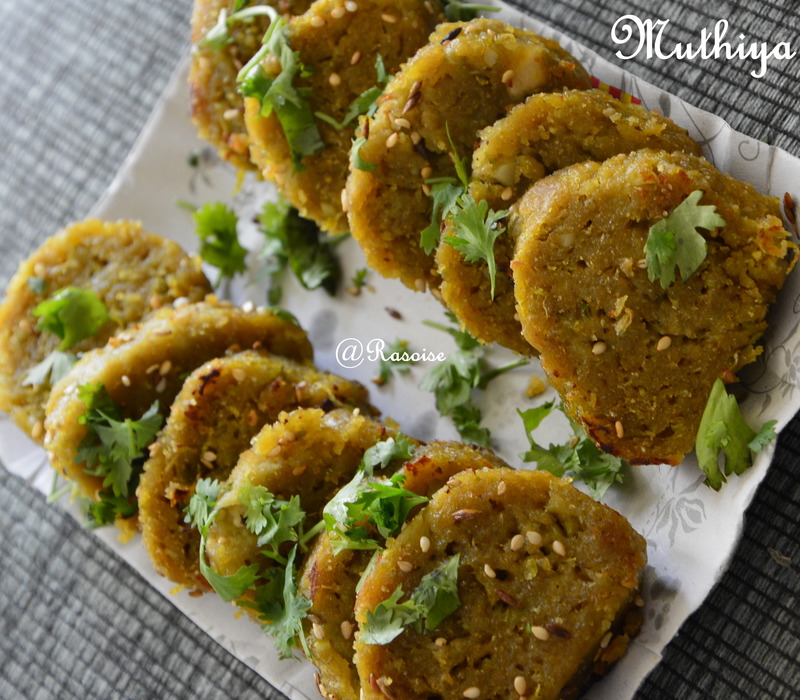 Muthiya is a super delicious and healthy recipe and this is the reason why everyone who eats it loves it. These are multigrain flour and doodhi mixed steamed dumpings. There are three ways of making muthiya – steamed, microwaved and fried. Steamed muthiya or microwaved muthiya is definitely more healthy and stomach filling version. 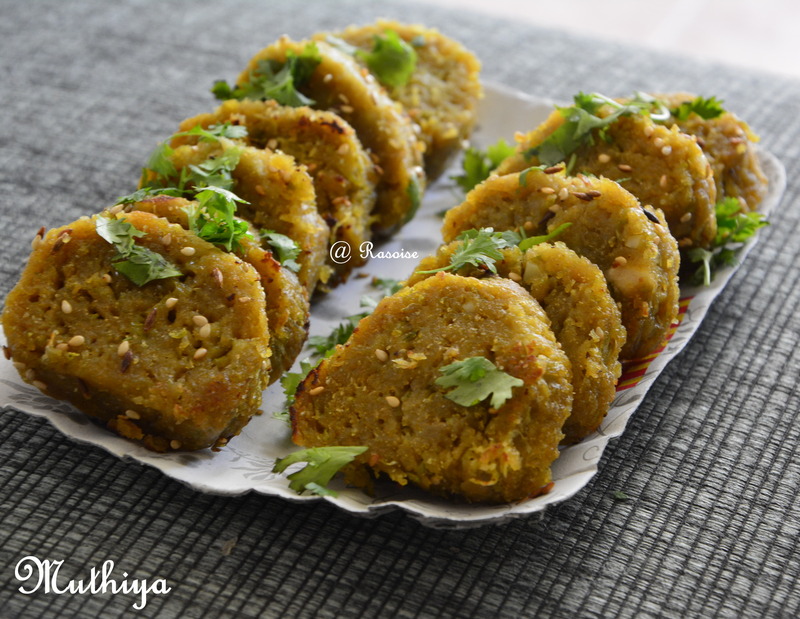 The muthiya is generally made with chickpea flour (besan) and doodhi. Doodhi (bottle gourd ) as you all know is a healthy but not so liked vegetable. So, apart from Ghiya ke Kofte and Ghiya ka Halwa, muthiyas is another recipe where nobody can guess that it contains bottle gourd as main ingredient. To make it healthier, I used wheat flour, semolina, rice flour and maize flour. 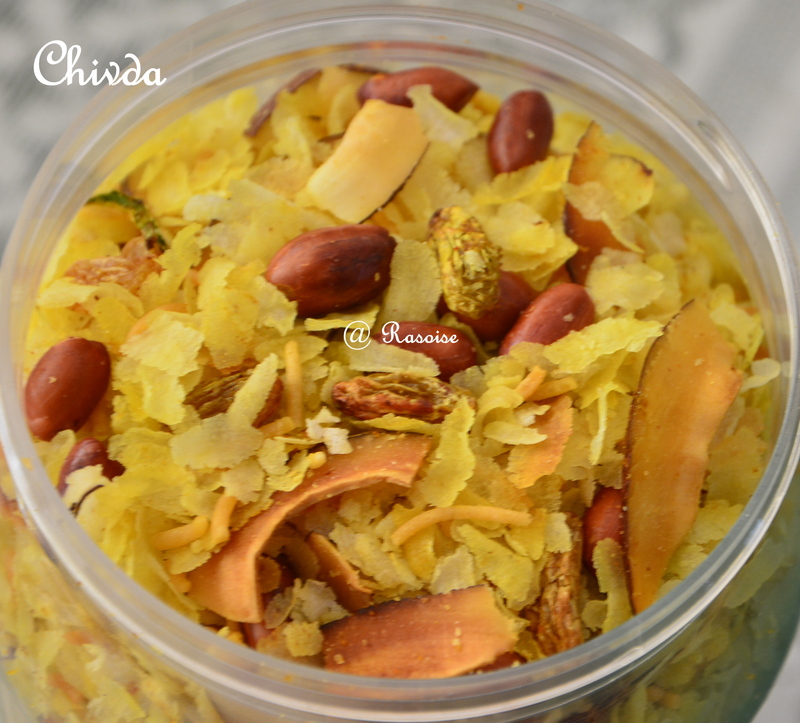 In Maharashtra and Gujarat you can find muthiya on many sweet and farsan shops. 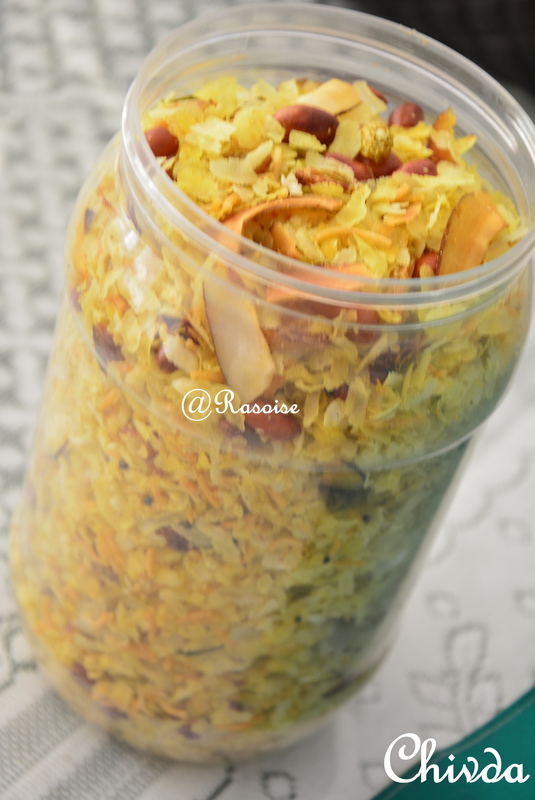 Muthiya can be stored for two or three days and can be served in morning breakfast or evening snack with tea. 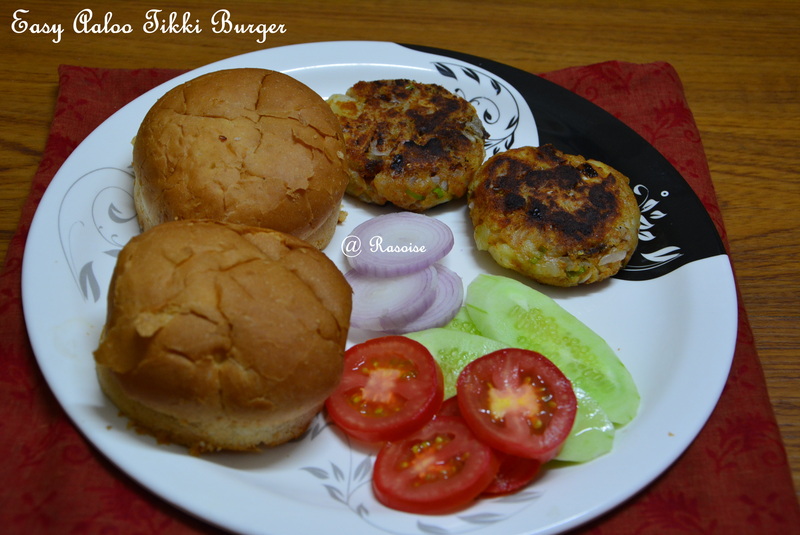 It can also be served as side dish in main course. Peel and grate doodhi. No need to squeeze the water from doodhi. Add all the flours along with semolina. Add green chilies and ginger garlic paste. Add oil, sugar, cumin seeds and turmeric powder. Knead it into smooth and soft dough. Apply some oil in your palms. 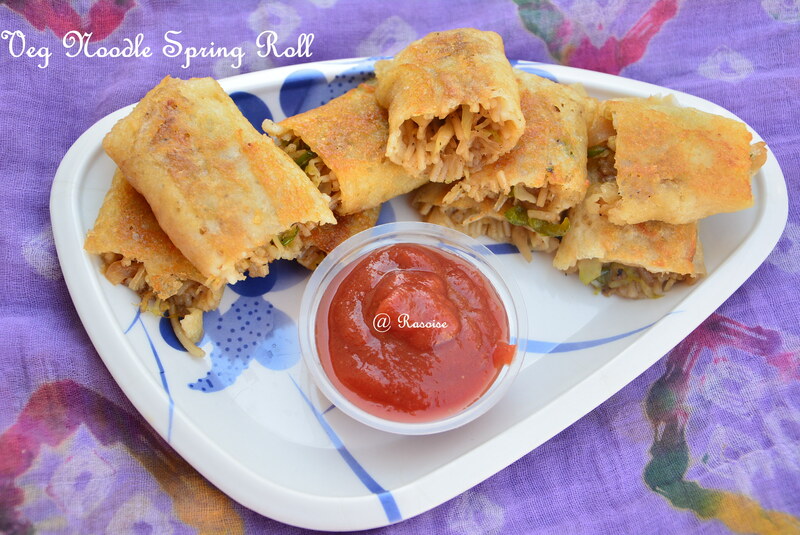 Divide the dough into three equal portions and shape them into a cylindrical roll. Steam the roll for approx fifteen to twenty minutes. You can insert knife after fifteen minutes and check. If it comes out clean it’s done, otherwise steam for another five minutes. Alternatively you can microwave the cylindrical rolls for eight to ten minutes. Allow it to cool. Cut the rolls into circular slices. Heat oil in a wok, add ajwain seeds and sesame seed. Add muthiya pieces. Saute for two minutes till you get little brown and crisp muthiya.